It has been reported that proposals to abolish 180 quangos and merge a further 124 have been seen by the BBC’s Politics Show. The Cabinet Office list of quangos and other public bodies to be axed or merged by the government – as well as those bodies which will be retained, or reformed in a more minor fashion – is dated 26 August 2010. 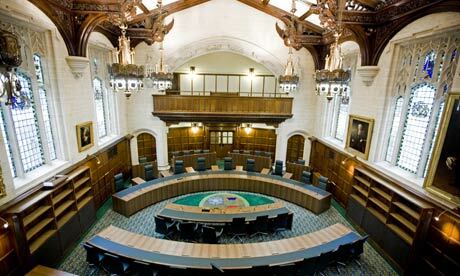 We note that the entry for the UK Supreme court indicates that its future is “Still to be decided – Options being considered“. On the Halsbury’s Law Exchange, the Supreme Court’s inclusion on the list is worrying symptom of the Court’s statutory basis; whilst over at the UK Human Rights blog, Adam Wagner argues that although the Court is unlikely to be abolished, this may indicate potential changes to the administrative team in order to save costs. What could the options be? I doubt it would include abolishing the Supreme Court and transferring it back to the HoL (i.e. reversing the process). Well, it had a good year! Maybe nothing will come of it. But it seems to undermine the whole premise behind the Supreme Court – greater independence from Parliament and the Executive – if it is to be lumped in with other quangos or otherwise not in control of its own budget. Leave a reply on "UK Supreme Court: “Options being considered”? [updated]"